We put you on the fish! 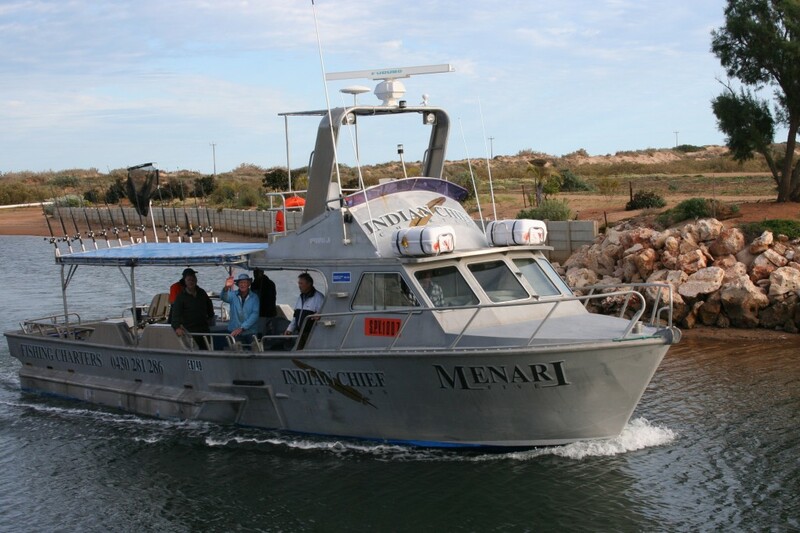 Welcome to Indian Chief Charters, we are a land based fishing charter that operates from April to September out of the secluded Carnarvon Beach Retreat located on Babbage Island in Carnarvon Western Australia. ‘Where the Desert meets the Sea’. Indian Chief is an owner operated charter business and as such our friendly team strive to ensure your fishing experience is nothing short of fantastic. Brett, our Skipper has had over 40 years experience fishing the beautiful Coral Coast region and prides himself on getting our guests ‘on the fish’. Both experienced and novice fisher’s will have the opportunity to expand their knowledge or hone their existing skills. Our vessel visits the pristine waters that surround Bernier and Dorre Islands in the World Heritage area of Shark Bay. The Islands are renowned for their abundant marine life and are teeming with some of the best ‘table fish’ the world has to offer. Our weekly guests arrive to start their charter experience on Sunday afternoon and enjoy six nights and five days fishing departing Saturday Morning. We offer a unique, relaxing ‘no effort required’ kind of charter as your accommodation and all meals are included, your catch is filleted, cryovaced and frozen daily and presented to you on departure in a sealed foam esky, all you have to do is catch them. On return from a great days fishing, enjoy a cold drink and nibbles around the filleting table where the fishing tales inevitably get taller. Wake up to the smell of fresh coffee and the sparkling waters of the canal lapping at your doorstep, throw out an early morning line whilst your freshly cooked breakfast is being prepared. Take a short stroll to your charter vessel and enjoy your day on the water. Dinner is served alfresco by our friendly staff and is a showcase of the award winning produce the Gascoyne region has on offer. Our client base is primarily return customers and Indian Chief offers a ‘Blue Ribbon’ charter at a budget price. 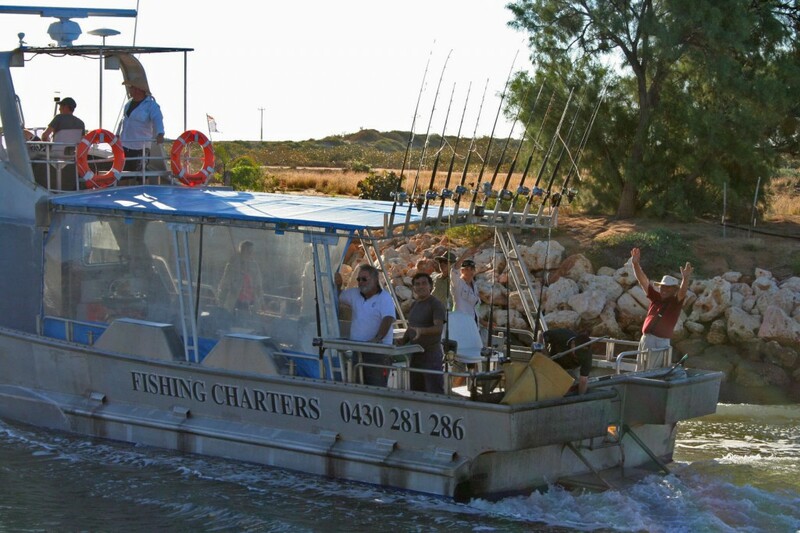 Availability is strictly limited so don’t hesitate to contact us on 0430 281 286 to book your next fishing adventure. So put us on your ‘Bucket List’ and take the time to live. Experience the best fishing charter in Western Australia! April to September each year. Only $2,200 + GST per person for 6 nights, five days fishing. For those of you that may want to take in the spectacular Marine Life of Shark Bay, Indian Chief is operating day charters in September and October. The boat departs from Carnarvon Beach Retreat at 9am Monday to Friday dependant on weather conditions and passenger numbers (minimum of 8 guests). The magnificent Shark Bay is not only renowned for its legendary fishing, it’s also teeming with Marine life, dugongs, dolphins, turtles to mention a few and of course the spectacular Humpback Whale. These magnificent mammals use our waters to rest before continuing their long journey south. These gentle giants are breathtaking to see, especially when they are performing as only they can. Tea, coffee, soft drinks, water and morning tea is supplied on board. Call us on 0430 281 286 to book.